1. How many seats is the BJP likely to win? 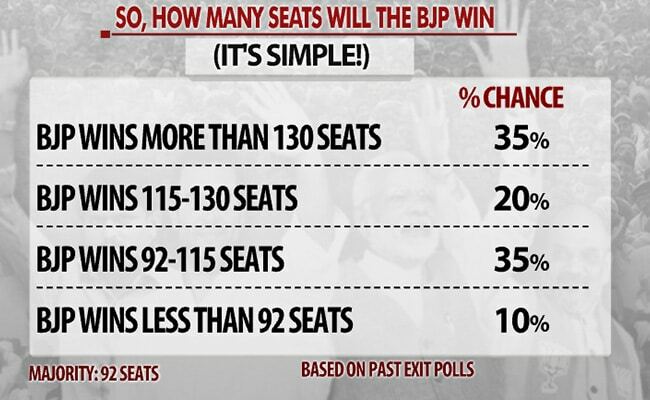 According to the average of exit polls, the BJP is likely to win 115 seats out of 182 seats. But how likely is this outcome? We have examined 130 exit polls carried out in major states since 2012 and covered 19 Vidhan Sabha elections. The analysis tell us that in only 10% of the cases does the average of the exit polls go wrong so that the party predicted as the loser actually ends up winning. Thus, there is a 10% chance that the BJP wins fewer than 92 seats (the half-way mark in a legislature of 182 seats). In 35% of the cases, the winning party performs worse than the average of the exit polls - but still retains a majority. Thus, there is a 35% chance that the BJP will get fewer seats than the exit polls predict (115) - but still retain a majority i.e. win between 92 and 115 seats. In 20% of the cases, the winning party performs better than the average of the exit polls by around 15%. 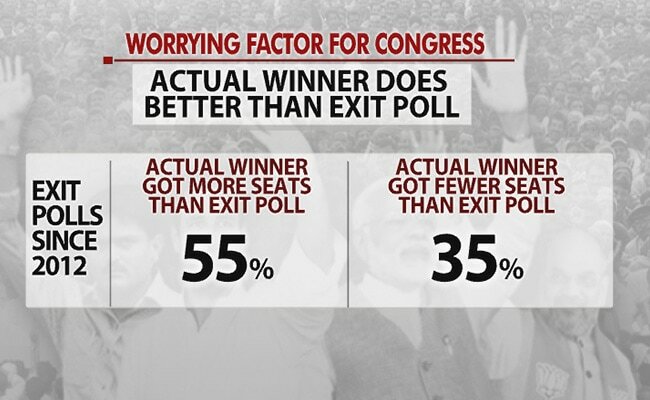 Thus, there is a 20% chance that the BJP will get around 15% more than predicted by the average of the exit polls, i.e. between 115 and 130 seats. And in 35% of the seats, the winning party outperforms the average of the exit polls by more than 15%. Thus, there is a one in three chance that the BJP will get more than 130 seats out of 182 (it won 115 in the last election in 2012). There are nine seats in Gujarat that have chosen the winning party in every election since 1980 (see table below). So they are excellent at predicting the winner of the entire state. Keep your eyes open for the leads and results coming from these seats. 3. 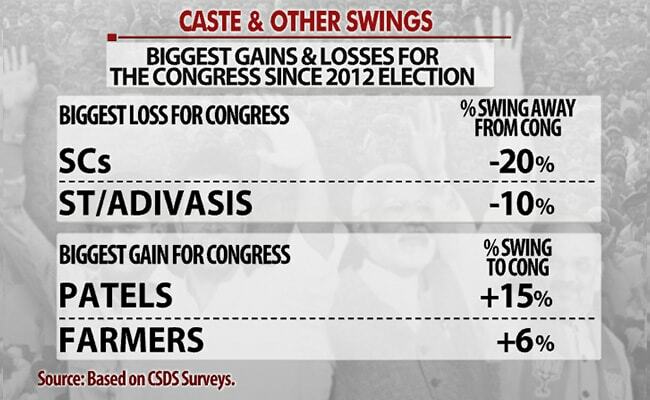 What are the worrying factors for the Congress? The average of the exit polls is able to predict the correct winner 90% of the times. 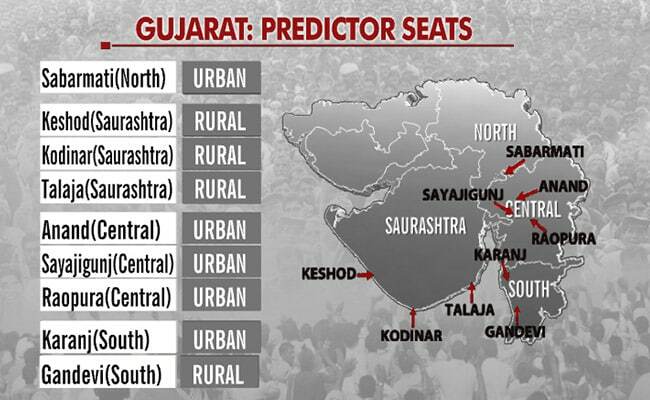 And in the Gujarat exit polls carried out last week, the BJP is predicted to win comfortably. In a majority of cases (6 out of 10), the predicted winner gets more seats than the average predicted by the exit polls. 4. 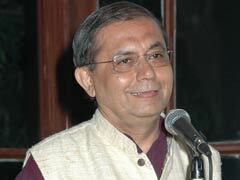 What are the worrying factors for the BJP? 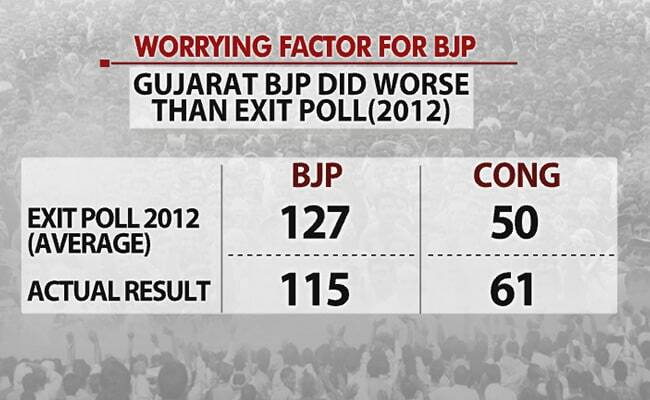 In the 2012 Gujarat elections, the performance of the BJP (115 seats) was worse than predicted by the exit polls (127 seats). 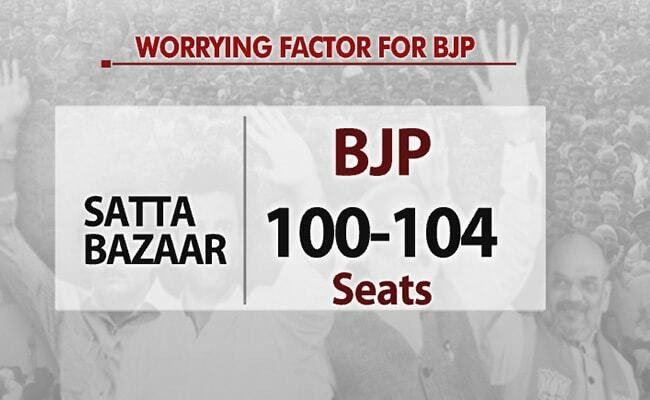 The "satta bazaar" or betting market, which is often a good predictor of the seats likely to be won, gives the BJP between 100 and 104 seats. 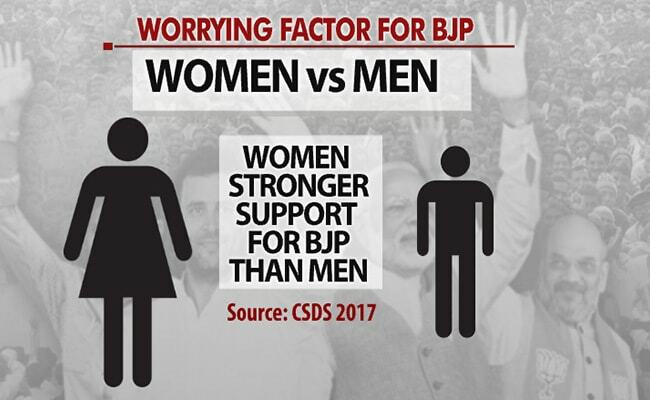 Women are a stronger support base for the BJP than men. 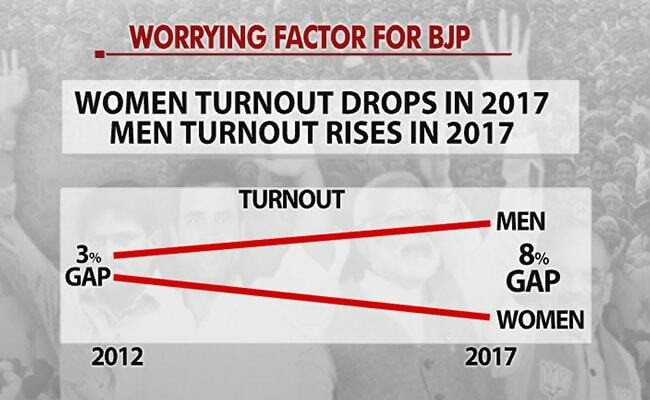 But in the 2017, the turnout among women has dropped and the turnout among men has risen. The gap between the turnout of men and women which was 3% in 2012 has risen to 8% in 2017. 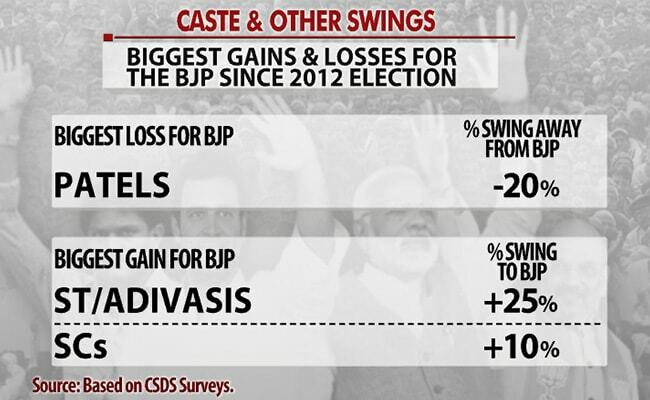 BJP's biggest gains (in comparison to 2012) are among the Scheduled Tribes or STs, followed by the Scheduled Castes or SCs. Thus, its outreach to these deprived communities appears to be working. And the party's biggest loss can be attributed to the Hardik factor - a large drop in the support base among the Patels. Conversely, the Congress has lost support among the Adivasis and the Dalits and picked up significant backing among the Patels or Patidar community and, to a lesser extent, among the farming community.